As the sands of time pass so do the tropes and staples of Hollywood. One thought to be long dead were the universal monsters, forgotten after the slasher craze of the late 70's and early 80's these films thrived on the innocence of fear in its purest form. Introducing the World to some of the most iconic creatures and characters in the history of fiction. 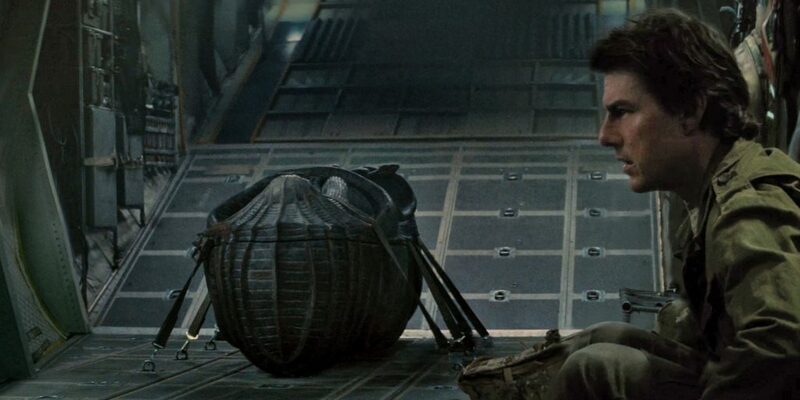 The 2017 version of The Mummy helmed by infamous writer, but first time director: Alex Kurtzman faced the tremendous challenge of modernizing, and reintroducing these characters for a new generation and establishing Universal's Dark Universe. What makes The Mummy such a disappointment is the potential that not only the film itself has, but that of Universal's Dark Universe in general. The studio made an inherently flawed decision putting a first time director in charge of this tent pole film. Even in the most skilled of hands turning audiences on to characters that most of the general public associate only with their grandparents and cereal boxes was going to be a tall order. However in the hands of Kurtzman who is a writer first; The Mummy fails to capture any type of flow or momentum over the course of the film, resulting in repeated moments of boredom even as the action heightens. Heading into the film I thought at it's worst The Mummy would be an average Tom Cruise action/adventure flick, but not even the running ageless wonder his self is enough to save this film. Cruise has his moments, and makes the film watchable, which it would not have been if it revolved around a lesser actor. Tom Cruise's physicality, and thrill seeking pursuit deliver the most memorable moments of the film, over the course of an Iraqi action set piece, as well as one of the best plane scenes in a film since Flight in 2012. Beyond Cruise who basically plays the same entertaining adventurer as he does in every film, the supporting characters of The Mummy are as hollow as an empty tomb. Jake Johnson is out of his league next to Cruise, and anytime he is asked to be more than comic relief the film begins to unravel. Annabelle Wallis's Dr. Jenny Hassley sets female characters in blockbuster filmmaking back to ancient Egypt as this film fails the bechdel test miserably. To counter balance the buffoonery of Wallis's character the actual Mummy herself as portrayed by Sofia Boutella is a powerful and beautiful figure whose screen-capturing agency is squandered in the film's final act. As far as Russell Crowe's Dr. Jekyll and Mr. Hyde, perhaps Crowe would have been better cast as the Wolf Man because his constant desire to chew scenery was downright laughable. The biggest flaw of this film, and one that Universal needs to course correct fast if they want their Dark Universe to succeed is: that The Mummy does not know what it wants to be. The moments the story wants to dabble in horror fail due to the establishment of the film as an action/adventure film in the first act. Leaving myself to wonder could this have been a better film if it were not trying to setup a broader universe. Unlike the MCU (Marvel Cinematic Universe) or even the DCEU (DC Entertainment Universe) I don't think this Dark Universe will live on if it fails to be Dark. While superhero film universes have the luxury of mixing and matching subgenera's together to keep them somewhat fresh, audiences are expecting these monster films to feature elements of horror, which The Mummy never delivers.